Dan Cross had been on the phone to his wife Nicola, who was at their home in Hertfordshire with their two young children, when an intruder broke in and killed her in September 2015. Mr Cross, a recruit on the Channel 4 programme, told ex-special forces soldiers Ant Middleton and Jason Fox of his traumatic past in Sunday’s episode, leaving them – and fans of the show – stunned. Appearing on ITV’s This Morning, Mr Cross said he is now working as a volunteer to help others who have been through similar situations, and urged people to seek counselling following the death of a loved one. He said counselling was “the best decision I’ve ever made”. “For the first month after Nicky was killed, it was flashbacks and being dragged back into that situation where I felt like I couldn’t breathe, I was underwater, I couldn’t hear properly – I was back in that moment. Mr Cross was forced to leave SAS: Who Dares Wins – which puts hopefuls through a gruelling training regime similar to that experienced by SAS soldiers – due to a knee injury. He said he wanted to appear on the programme two years after the death of his wife for the “personal challenge”. 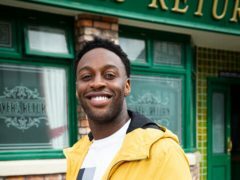 “When Nicky died, we had a lot of people around us for support – friends, family, everybody was so good in the local community, and they really helped pick us back up,” he said. Mr Cross told presenters Phillip Schofield and Holly Willoughby that he now volunteers with Victim Support as a “peer supporter to other families that are going through similar situations to us, homicide and manslaughter”. Viewers of This Morning took to Twitter to share their admiration of Mr Cross. One viewer said: “Such a sad story but what strength has came out of it. Bravo Dan Cross for raising awareness and holding your head high for your children. #thismorning Omg poor Dan Cross such a strong incredible person & an amazing father.sending heeling hugs to you & your beautiful children & loved ones. Another said Mr Cross is “such a strong, incredible person and an amazing father”, while others described him as a “legend” and an “inspiration”. “In absolute bits at Dan Cross. How can he be so eloquent after what he’s been through?” one viewer wrote. 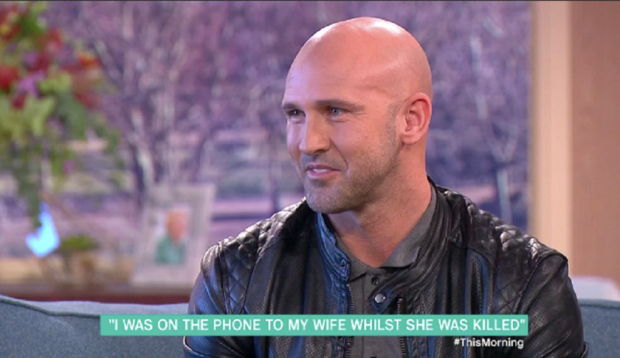 During his appearance on the programme, Mr Cross also revealed that he has since found love with another woman, who has helped him and his children cope with their grief.